Background/Info: I never stop to point out the impressive prolific work of German artist Sascha Lemon. Every single year he’s releasing multiple productions. “Tranquil Heights” features 9 new tracks. 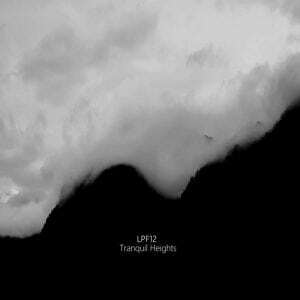 Content: While the past few LPF12 productions revealed a progressive exploration of soundtrack paths, “Tranquil Heights” rapidly appears to be a move back to the more styled IDM approach. Sometimes you’ve to take a break with the music you’re dealing with to strike back with fresh and visionary ideas. That’s what I experienced at this work, which is revealing some of the best cuts Sascha Lemon has ever composed. On top of the work you’ll also notice a more wafting/ambient approach, which creates a perfect match with the IDM. + + + : “Tranquil Heights” is an elaborated production with a great progression in the tracklist. 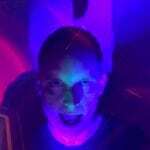 Merging IDM and ambient influences together has been perfectly accomplished. The main part of this album is absolutely sensational and I especially want to tip “Rainfall” and “Above And Beyond” as absolute attention grabbers. We here can discover some of the most beautiful and refined cuts of LPF12. 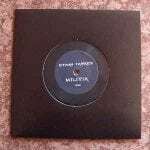 – – – : My only single regret about this work is the last part featuring more ambient-orientated songs. They create a sort of anti-climax after an astonishing debut. Conclusion: If you don’t know LPF12 and you face its impressive discography, it will be hard to choose one album to listen to. I’ll give you a tip, take “Tranquil Heights” and you for sure have a great moment exploring intelligent electronic music. Best songs: “Rainfall”, “Above And Beyond”, “The View”, “Upwards”.